There’s a lot of content out there that is written to help small business owners do their own marketing, but it’s often written by marketers who are adept in things like analytics, content marketing, and technical jargon. It may be written using terms you don’t understand and business processes you’re not familiar with, and then you’re left with no clue how to start marketing your brand. If you own a small business, or are responsible for marketing one, you need to know how to be effective in your market without the hoity-toity language of marketing. You need marketing for beginners. As a brand, you’re speaking to human beings who share your ideals, and who want or need your product or service. If you don’t know who you’re talking to, you’ll have trouble reaching your audience. Creating a buyer persona brings those individuals to life and helps you figure out how to market to them. A buyer persona is simply a description of the person you’re trying to reach. You might have several. Give the persona a name. Write out the features of that person (“Sally has a master’s degree and likes buying organic food”) to illustrate her and get to know her. Then, when you do your marketing, keep that “person” in mind and address your messaging to her specifically. How you communicate your marketing message is referred to as the tone of voice you use. It might be professional, casual, or even funny. The tone you use should resonate with your audience. For example, if you’re a B2B firm, you might do better using a more formal tone than a casual one peppered with teen-friendly acronyms. Just make sure to choose a tone that is consistent across all marketing channels. If you’re outsourcing your content, your writers will need to use your brand’s voice as if it were second nature. Help them by creating a document with your brand guidelines, meeting with them, answering their questions, and giving them examples of the tone you are going for. 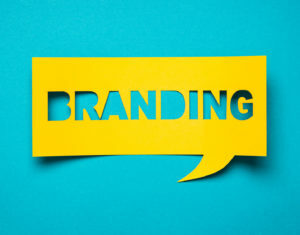 Establishing what your brand stands for can help you immensely in your marketing because you can then communicate those values to your customers. How can you do this? Jot down the things that are important to your company. For example, do you care about the environment? If you do, let people know about the choices you make that align with this value, like using green energy in your office, only buying recyclable or reusable office supplies, or volunteering to clean up your community. Write about things that matter to your customers: write about topics that they have questions about or that can enhance their lives in some way. And if you really don’t have time to blog, hire someone to do it for you. Don’t know what to write about? Come up with a list of questions you’ve been asked by prospects and clients. Google other brands in your industry and see what they write about. Keep a spreadsheet of topics so you always have one to write about. These four easy tips will help you attract more customers and build trust with them.